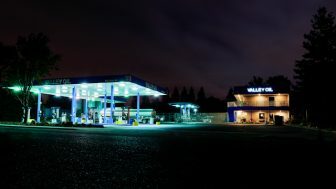 Valley Oil Company’s fuel station provides 24/7 access through the use of a Commercial Fueling Network (CFN) FleetWide card. 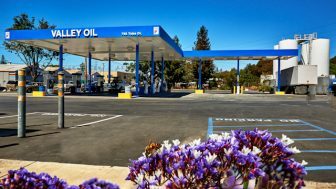 Products available at the pump include unleaded, mid-grade, and premium gas, as well as ultra-low sulfur clear and red dye diesel. The Valley Oil CFN FleetWide card provides your business with expanded coverage, the most advanced fuel controls, and exceptional reporting tools. The CFN FleetWide card is accepted everywhere you see CFN, Fuelman, Chevron, Texaco, Sinclair, and most major truck stop signs. CFN FleetWide cards provide access to more than 55,000 CFN FleetWide sites internationally, industry standard security controls, as well as streamlined and consolidated invoicing across all your CFN FleetWide cards. FleetWide allows you to set profiles for your individual drivers, departments, or your entire fleet. Setting up fueling times, gallonage limits, and product controls gives you a handle on fuel consumption. Valley Oil Company encodes and personalizes your FleetWide cards in-house, allowing us to better serve our customers. This enables us to address any card issues on the spot. With our dedicated staff always available, we will manage your account and help with any issues you may have. CFN is the first card purveyor in the industry to establish fraud protection for fleets! To fuel at the more than 55,000 (and growing) FleetWide locations and for a complete listing of the services offered at these locations, go to www.cfnfleetwide.com. You can also contact us between 6am and 5pm, Monday through Friday. 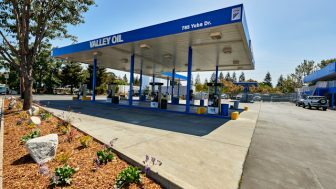 To set up a FleetWide account, contact Roberta Cummings (roberta.cummings@valleyoil.com) or Sue Testa (sue.testa@valleyoil.com) at 650-967-2253 for further details. Please download and complete this credit application to begin your account setup.